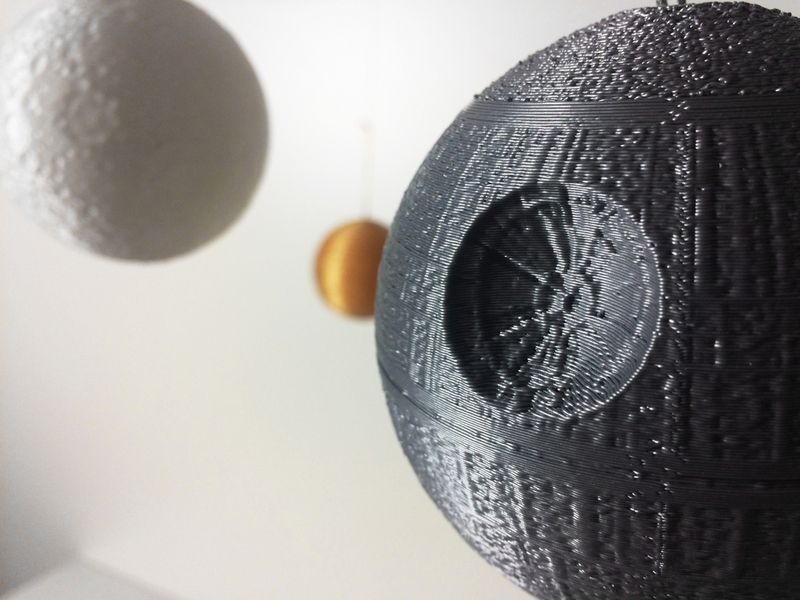 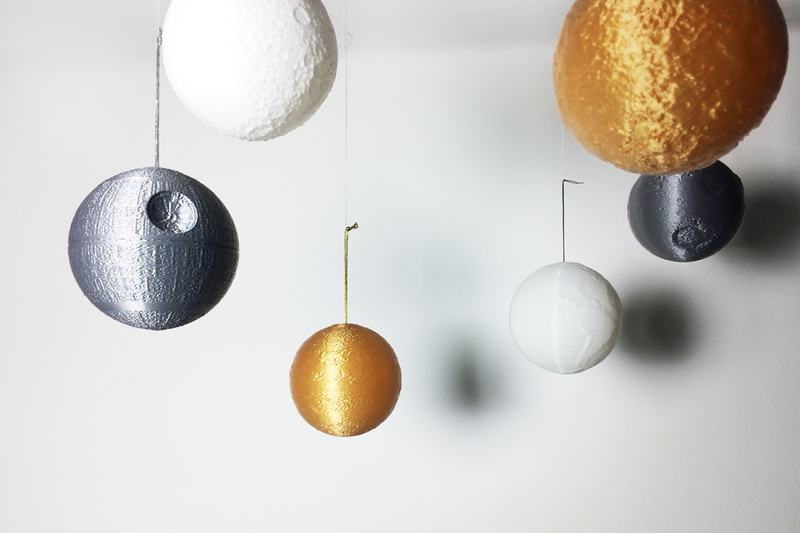 A (part of a) 3d printed Mini-Universe in Silver, White and Gold for your Christmas tree – or year-round decoration; plus a limited Edition of “glow-in-the-dark Mini-Moons”. 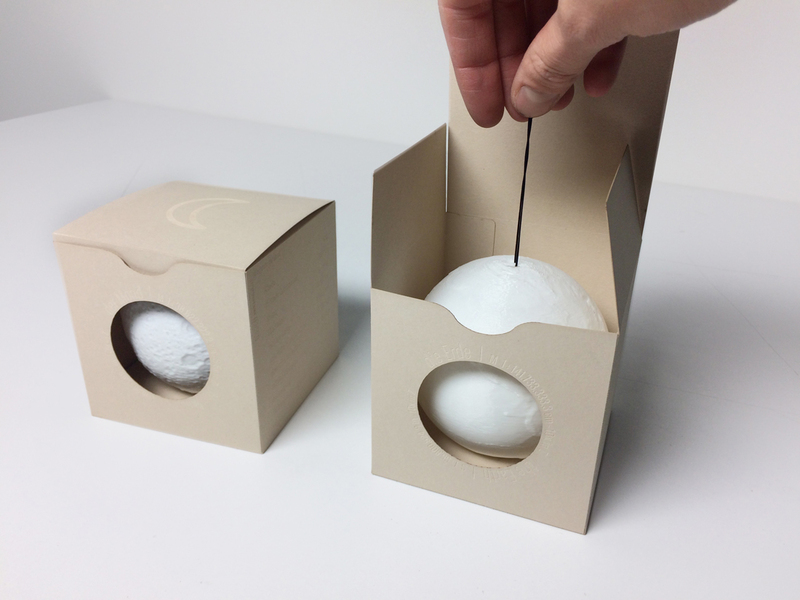 First Edition of 100 balls is especially made for Christmas 2017. 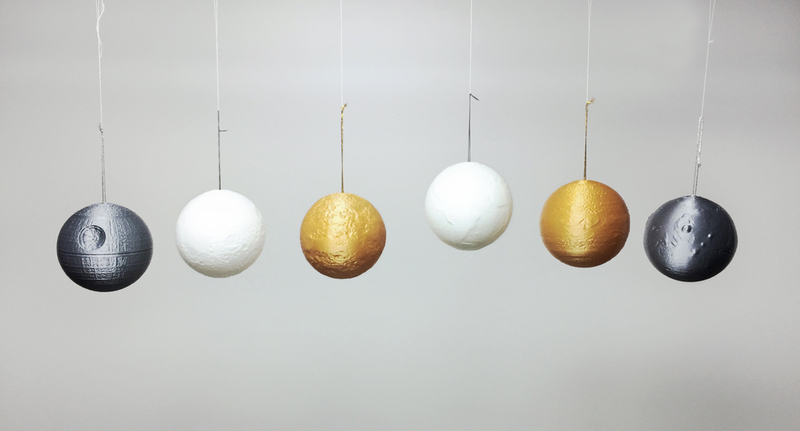 Each planet, moon or star comes in all 3 available colours and all balls have an average diameter of 90mm. 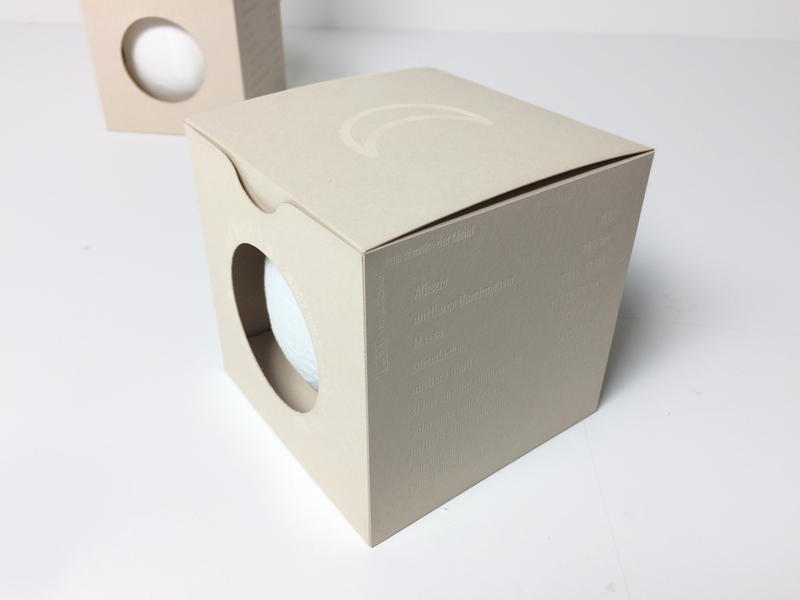 All are packed in an unique box with their planetary symbol, a little window and lots of information about their physical characteristics…for the real geeks out there (including me – obviously). 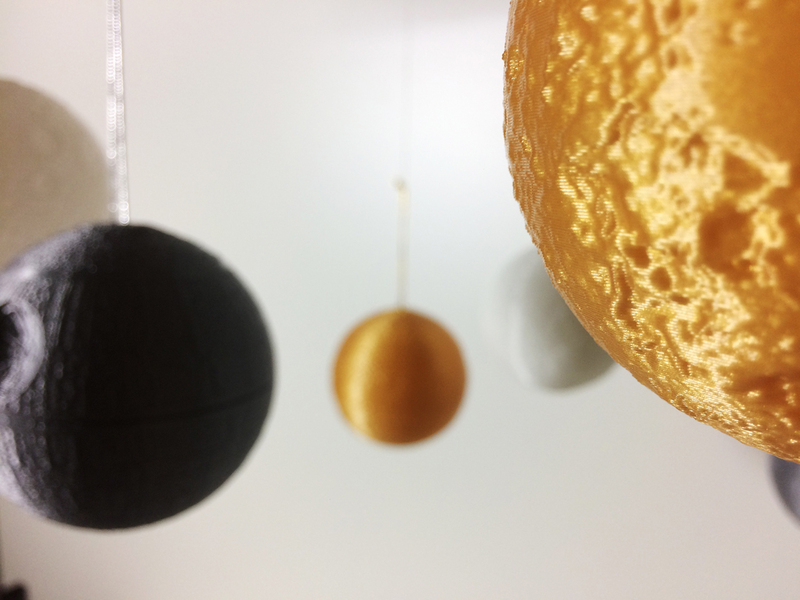 More planets and moons of our solar system are to come! 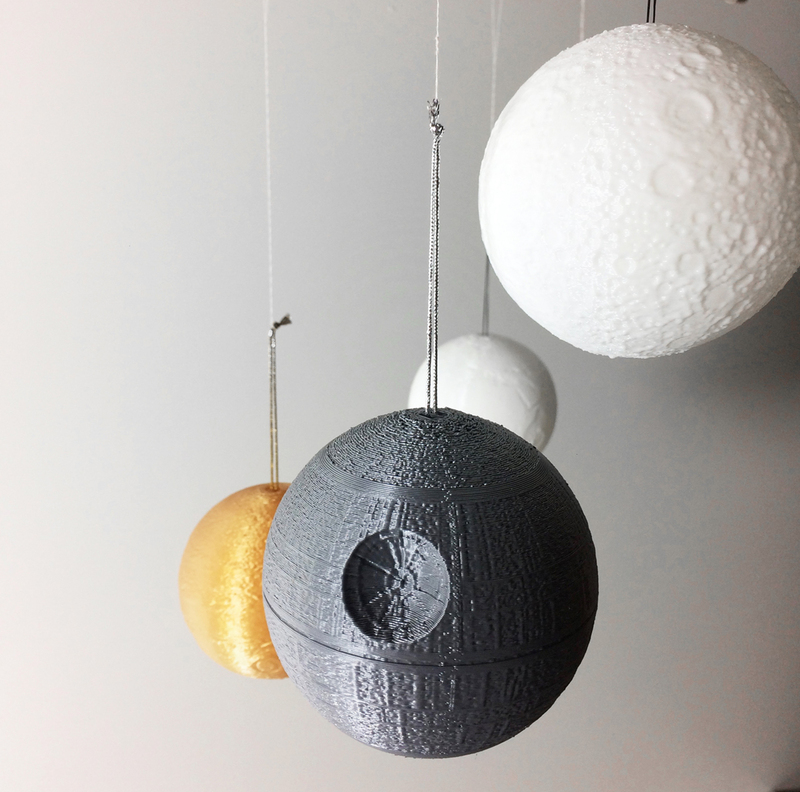 Big thanks to the USGS Astrology Science Center for making all of their amazing data available to the general public!